Following a massive heart attack, infamous British barrister Sir Wilfred Robarts (Charles Laughten) has been ordered by his doctors to forswear drinking, smoking, and his work in the courtroom. However, he is intrigued by the case of Leonard Vole (Tyrone Power), a likeable fellow who's accused of murdering a wealthy widow. 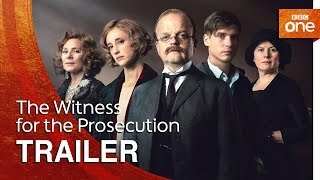 The case is turned on its head when Vole's loving wife (Marlene Dietrich) announces that they are not really married and agrees to be a witness for the prosecution. Adapted from an Agatha Christie play and directed with his usual finesse by Billy Wilder.